Should you read this blog post? Nah, that's ok, you can start tomorrow. Or not. 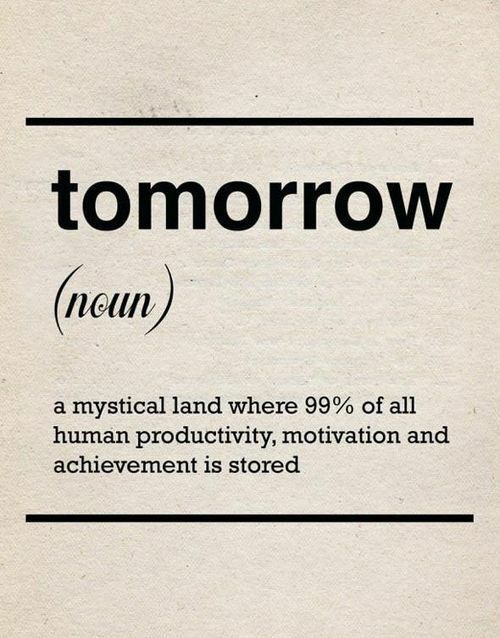 Learn why "I'll start tomorrow" are now banned words in my vocabulary.